"First international release on CD of Tchaikovsky's 'Pathétique' as well as the Bruckner, Strauss, Hindemith, Franck and Ravel selections. The CD booklet includes a rare photo sequence of Furtwangler conducting a rehearsal in Hamburg in 1954 plus a double-page spread of various ways the press in Germany viewed him in the 1950s." “Furtwängler may have been the greatest Beethoven conductor, but it's important to be reminded there was so much more to his repetoire than Beethoven. For a start, there's his incomparable Wagner. 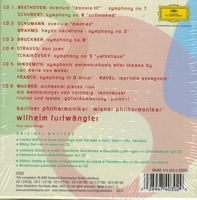 Disc 6 comprises preludes and excerpts from DIE MEISTERSINGER, TRISTAN, PARSIFAL, TANNHAUSER and the RING. 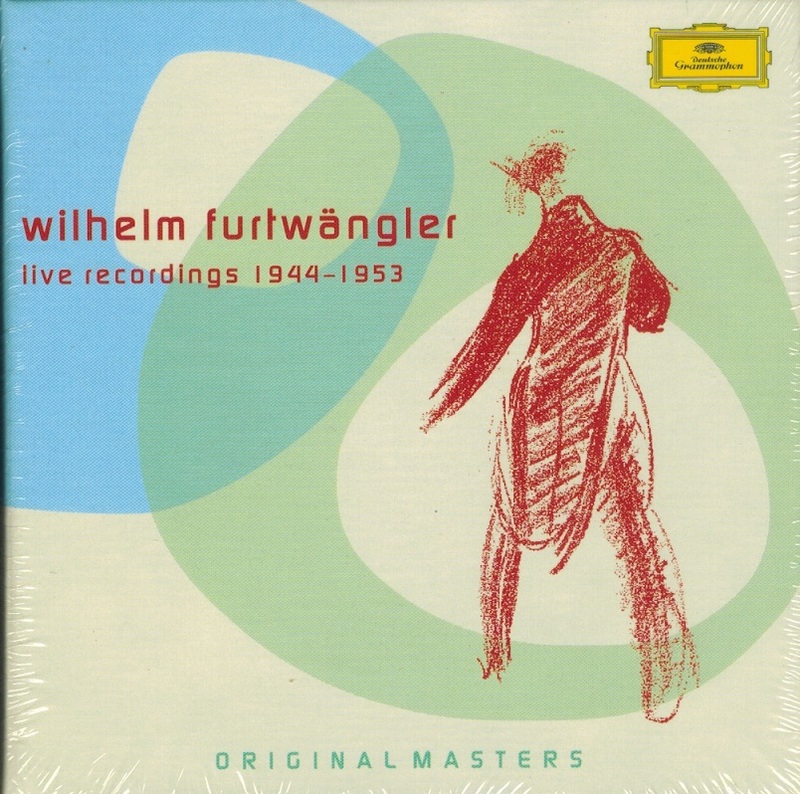 All live, which is more than can be said for EMI's Furtwängler / Wagner collection. There's also his emotionally intense Pathétique from Cairo (Disc 4), his multi-faceted Bruckner Eight of 1944 (Disc 3), and the Brahms 2nd and Franck Symphony that were given in Vienna during the dying days of the war (Disc 2/5): both are stunning, especially the latter. The Hindemith and ravel items are rarities, insofar as they are not commonplace in Furtwängler 's discography. The Ravel is better done, the Hindemith has a rugged character atypical for this piece. Overtures by Strauss and Schumann are entirely within Furtwängler 's compass, and though rarely an outstanding exponent of Brahms' ‘Haydn Variations’, the version included here is probably the most convivial I have heard from Furtwängler.